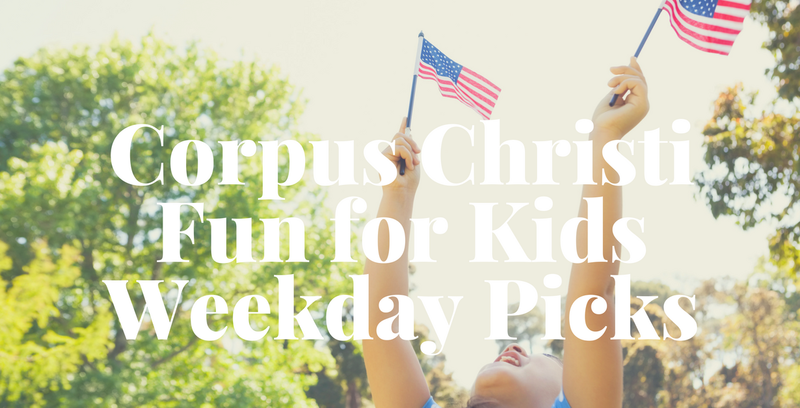 This week's picks are brought to you by Schlitterbahn Riverpark and Resort Corpus Christi! We know everyone will be celebrating and they have your Fourth of July covered with the hottest coolest family fun at the water park, live music, and fireworks! 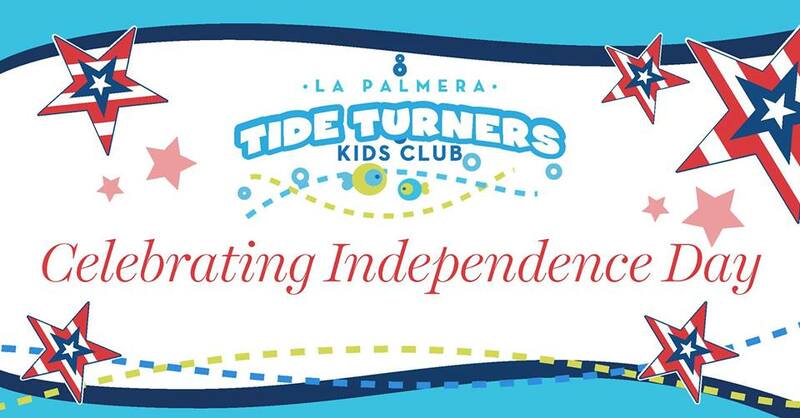 This week is packed full of fun Independence Day fun plus the usual weekly activities. If you're just looking for Fourth of July Fireworks in the Corpus Christi area, click here. 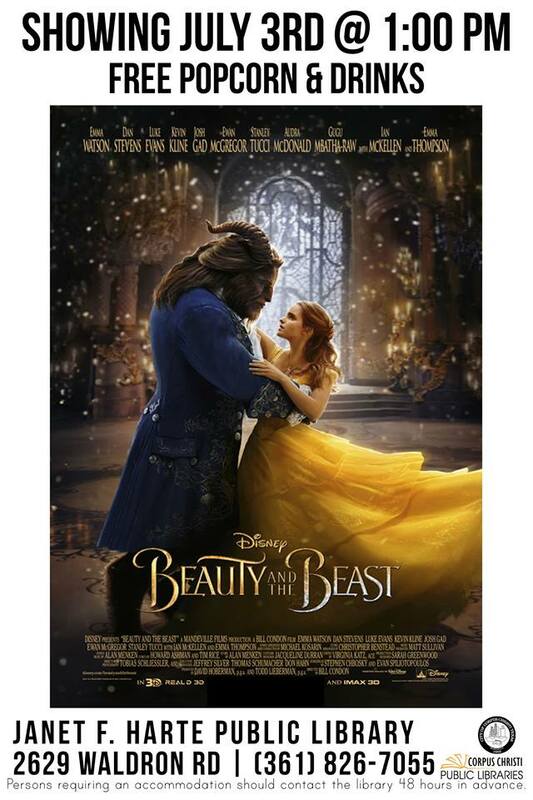 Beauty and the Beast movie. Make a craft and take it home. This week we will be making Fourth of July headbands. In honor of our nation’s birthday Schlitterbahn Riverpark and Resort Corpus Christi will host an ALL DAY ‘Blues Festival’ on our Freedom Stage and our Veranda Patio stage. Blues artists from around the area will entertain park guests in the mood to celebrate our nation's 241st bday. Veranda Restaurant & Bar will provide 4th of July food and drink specials all day long. There will be a fireworks display viewing party beginning at 8:30 pm on the 4th floor. The residents on North Padre Island in Corpus Christi, Texas host their own, unique fireworks display and viewing from our 4th floor balcony is perfect. The viewing is open to resort guests, park guests and the general public. Veranda Restaurant will provide bar service on the 4th floor so the day-long celebration can continue. 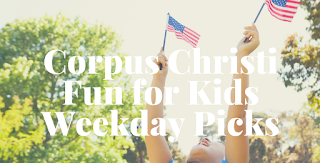 Story time, Fourth of July arts and crafts, raffles, and so much more. 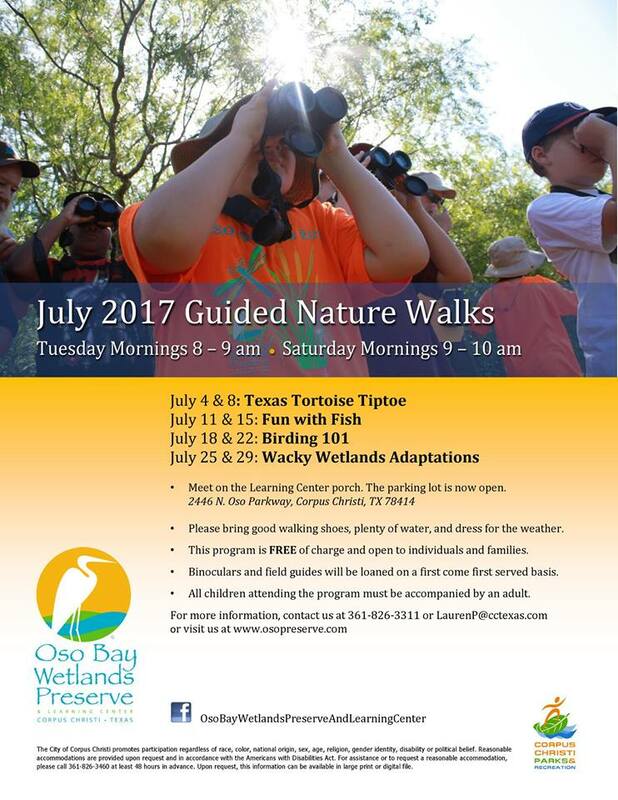 This program is specifically designed for families with children ages 5 and under and takes place at the Undersea Children's Play Area located on the upper level. 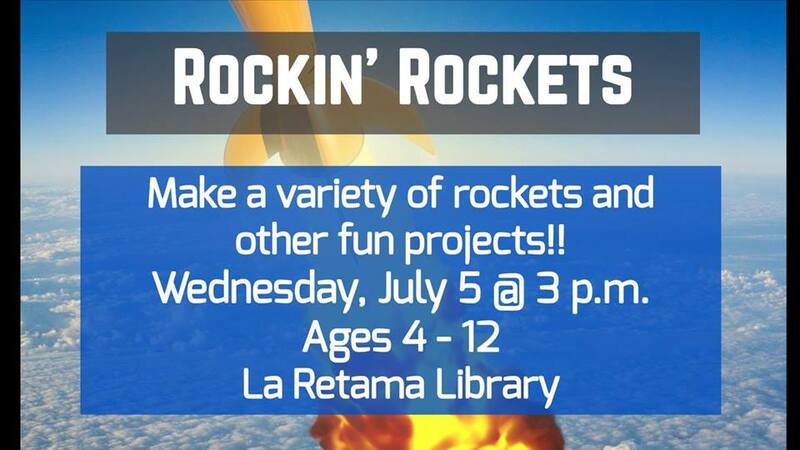 Kids Game Zone featuring music by Chicas Rock, remote control sailboats and more opens at 3 pm! Parade starts at 6 pm. The Harbor Bridge Light Show begins at 9 pm. Choreographed to music so tune your radio to the following stations: 92.7FM, 95.5FM and 1440AM. 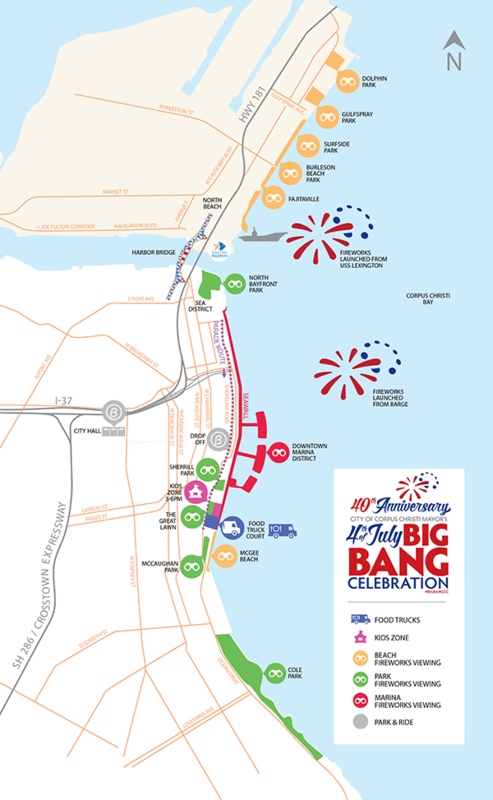 The Mayor’s Big Bang Fireworks Display starts at 9:30 pm. Guests will enjoy food, fun, and activities for the whole family. Starting at 6:00 PM at the museum, guests can expect carnival style games, science shows, face painting, music, craft activities, a petting zoo, an old-fashioned pie eating contest, and more. Food will be available for purchase via food trucks on the plaza. At 8:30 pm, guests will make their way to our exclusive reserved seating platform behind the American Bank Center for the best view in town of this year’s HEB double Fireworks Show. Chairs provided. Cost: Advanced tickets Members $20, Non-Members $25 and at the door Members $25, Non-Members $30. 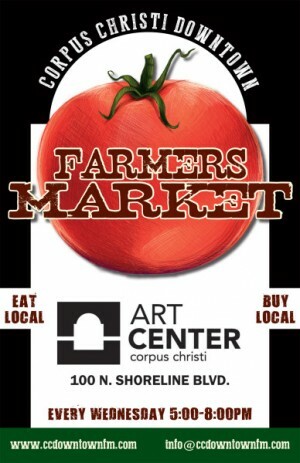 To purchase tickets call 361-826-4667. Limited parking will be free and available on a first-come first served basis for event guests. After-hours access to many of our exhibits. A DJ will be here to provide musical entertainment, and food and drinks, including beer, wine, and margaritas, will be available for purchase. Bring your chairs and blankets and take in the fireworks from our scenic shores. 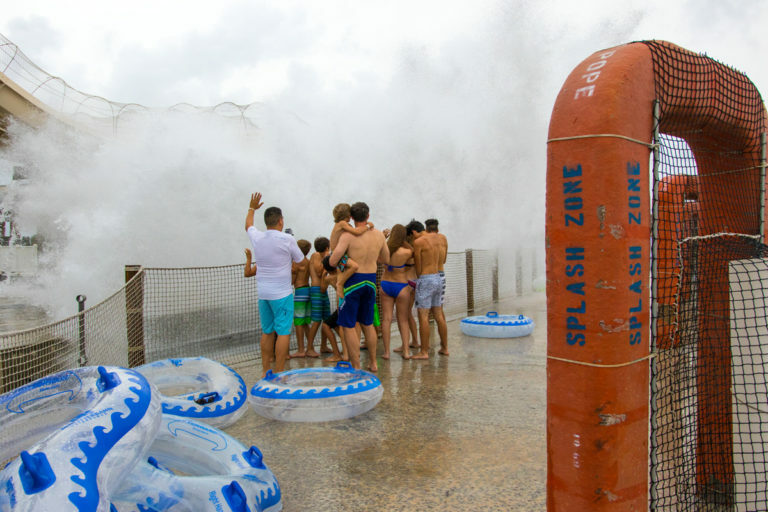 Whataburger 4D Theater, Dolphin Bay, Pepsi Boardwalk, the Observation Deck, and the H-E-B Splash Park will be closed during the event. Cost: Members $15, Non-Members $25. VIP tickets with food available. Children 2 and Under Free. Tickets and parking are limited and available on a first come, first serve basis. Buy online. The fireworks are usually launched around 9 pm. 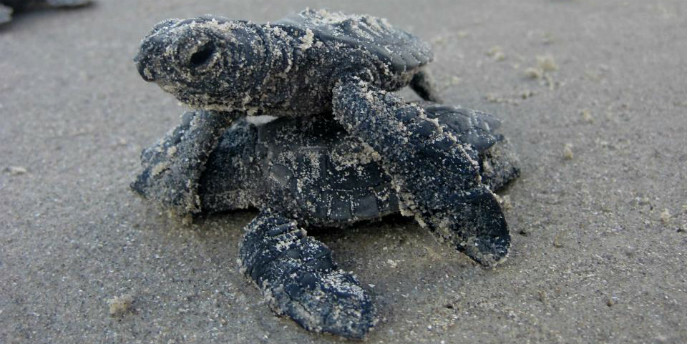 You can pretty much see them from anywhere on North Padre island. Port Aransas hosts one of biggest fireworks displays in Texas. The big firework display usually start at dark over the ship channel. Show usually lasts about 45 minutes and can be viewed from just about anywhere in town. Roberts Point Park is a classic spot with great views of the shipping channel. Show starts around 9:15 pm. Make sure to follow their Facebook page for updates. Sounds of Summer Concert Series at the food court with Drive. Gates open 6:05 pm. Mike Shaw Automotive presents Independence Day Fireworks postgame. Whataburger Family Day; buy a ticket at the box office and get your kid’s ticket free. Donate your gently-used clothing item to Goodwill near the main gates at the giant Whataburger fry box. 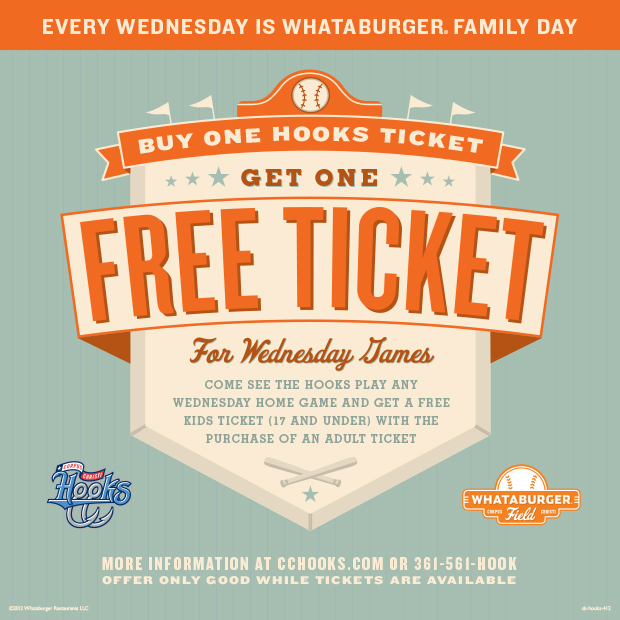 In exchange, you’ll get a new Hooks t-shirt, ticket voucher and special Whataburger coupon offer! National Anthem by Just Jammin’ Quartet. Ten weeks of fun films for kids. This week it's Goosebumps. 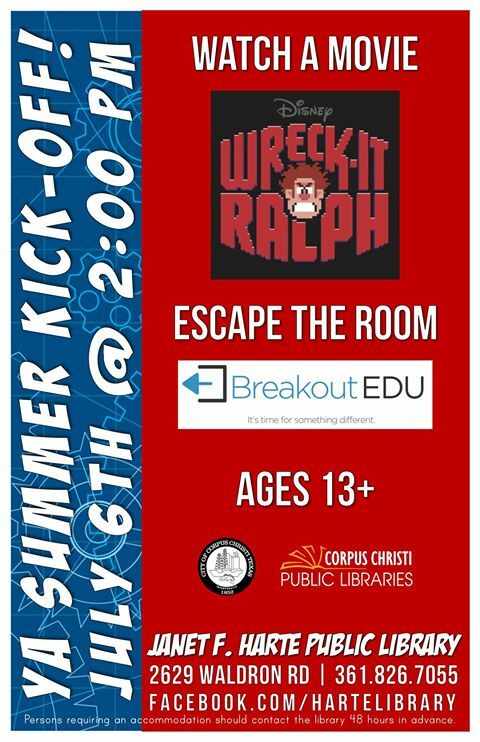 Movie and escape room. For kids 13 and up! Gates open 6:05 pm. Thirsty Thursday (discounted soda and beer), from Stripes. After 8:30 am on the 6th, go to the Stripes Facebook Page to learn the Stripes Thirsty Thursday Word of the Day. Later that day or night, repeat the word at the Whataburger Field box office and receive a free Hooks Thirsty Thursday reserved-seat or general admission ticket for each Thirsty Thursday ticket purchased. •National Anthem by Michell Gohlke.